Well, well, well – here it is, my latest video. 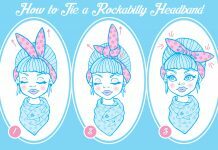 This time, I’m going to show you how to tie a triangle scarf. The design is so sweet and simple yet so stylish. If you prefer to read the instructions, you can find the tutorial here. Especially at this time of the year, my Triangle Scarves become super popular at the craft shows that I’m participating in. It’s just such a neat, classy look. 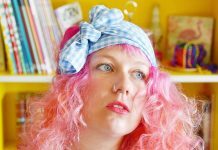 I mean, generally scarves are just the best accessory (well, with the exception of headbands of course) but I know that many people are afraid of scarves because they just don’t know how to tie them properly. While I enjoy showing everyone who comes to my markets how it works, I’m sorry, I just can’t live inside your wardrobe to put them on for you every morning even though people offered to pay me to do that + it would be quite interesting to have a look into someone’s wardrobe, wouldn’t it? Right? 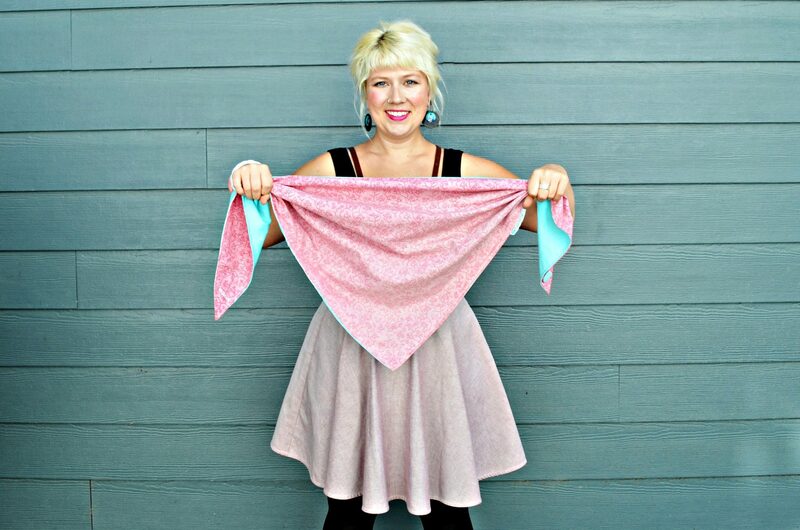 So easy and doesn’t it make you want to juuust have another look at which scarves I’ve got in stock? Did I mention that I make them all from vintage and reclaimed fabrics? 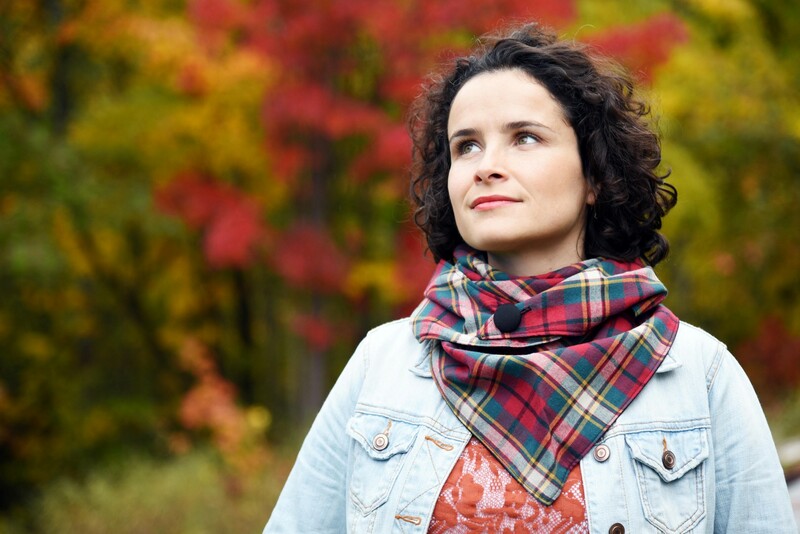 Every scarf is a limited edition or even a one of a kind. I also always cover the buttons with the same fabric that I use for the reverse side, it just pulls the design together so neatly. Well, all my goodies are waiting here for you. 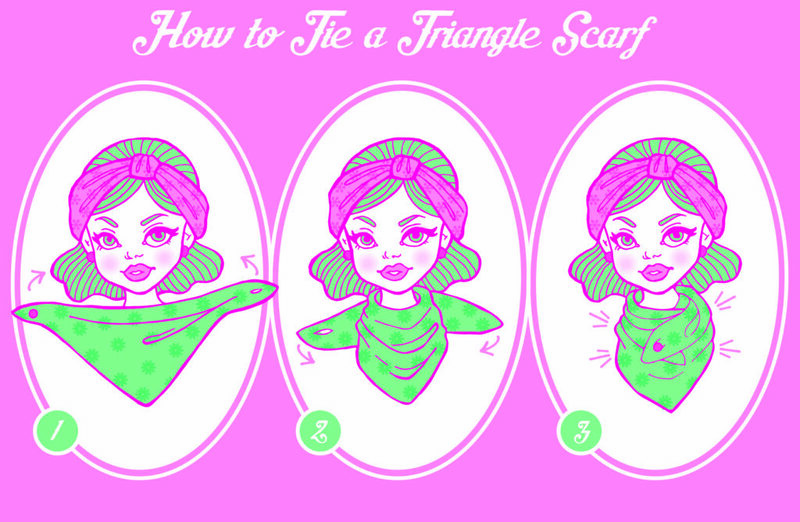 Thanks so much for watching and I hope this video made it easier for you to tie a triangle scarf!